At Strong Towns, we talk a lot about Strong Citizens. These are the folk who care about where they live and, as individuals, do what they can to make their towns stronger—encouraging their neighbors to do the same along the way. 64.6, a nonprofit placemaking organization in Fort Smith, Arkansas, has used its unique vision and collective voice to play an integral role in implementing Fort Smith’s Propelling Downtown Forward Master Plan. The City Council in College Station, Texas, adopted language that modified the City’s local ordinances in order to make it easier to incrementally expand old buildings and land uses that are out of compliance with current zoning. ReForest South Bend, a non-profit organization in South Bend, Indiana, used grant money to plant trees along neighborhood streets. These stories likely spark your imagination as you picture ways you can make your own city or town stronger. I can throw a block party on that vacant lot! I can plant trees in my neighborhood’s shared green space! I can get my council people to approve bike lanes! Last week, we surveyed our readers and members to gather success stories and learned that, while imagination is key, there’s a common theme that’s essential to turning neighborhood-strengthening ideas into reality: sharing the idea with the community. Flashback to summer 2018 and Doug Phillips, now Strong Towns member and resident of Alma, Arkansas, attended one of our Curbside Chat presentations in Conway, Arkansas. As Chuck shared the Strong Towns message—why our cities and towns are going broke and how Strong Citizens can help—Doug had an idea: inspire local Strong Citizens to help him plan a festival, which he’d eventually call Autumn Alma Festival, in downtown Alma. At the time, Alma residents didn’t see downtown Alma as a destination—and Doug was inspired to use Autumn Alma Festival to change their perception. But there was an issue. Despite his motives, it was challenging to plan a festival with only his own resources. Doug knew what he had to do: as he learned from that Curbside Chat in Conway, Arkansas, Doug needed to share the idea with his neighbors, colleagues, and elected officials. He started small, pitching the idea to the local library in downtown Alma, which had hosted an annual pumpkin carving contest. As Doug continued to share the idea with groups, such as the local small business owners, chamber of commerce, and rotary, he noticed a shift. His idea to throw a festival and showcase downtown Alma no longer lived in a vacuum; instead, it was an idea of which many residents and groups of Alma began to claim ownership. The result: a gathering that not only got people excited about downtown, but also made them hopeful for what the future of Alma could look like when groups once-siloed banded together to achieve a common goal. And the best part: Alma residents are already marking their calendars for Alma Autumn Festival 2019. When we received this success story submission from Cathy Johnson—Strong Towns member and resident of Rockford, Illinois—we knew it’d be good. Strong Towns has several members from Rockford, and in 2016, we visited to participate in a series of walking tours and presentations (thanks to long-time Strong Towns members Jen and Michael Smith at Transform Rockford), where we witnessed several success stories spearheaded by Strong Citizens. Well, Rockford is at it again. And this time, they’re getting all sorts of groups involved—the city staff, neighborhood associations, and non-profit organizations—to enhance the aesthetic of an abandoned, blighted nursing home. 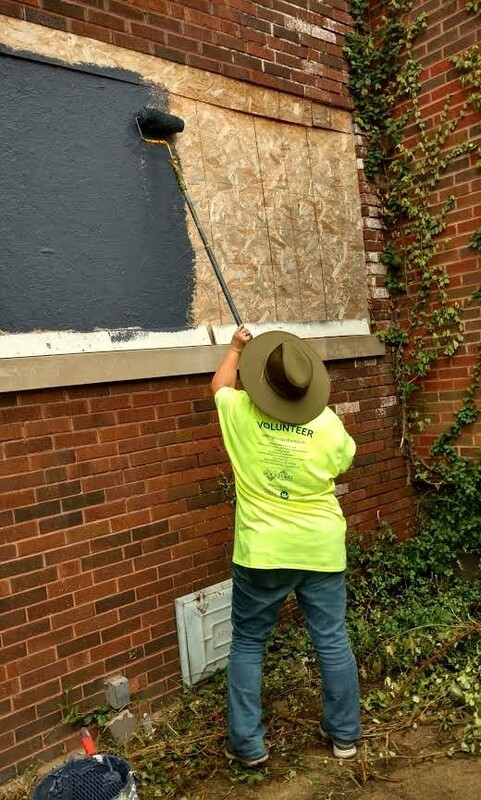 A Rockford city administrator got the idea when, at a conference, he learned about The Neighborhood Foundation: a non-profit organization in Chicago that provides recycled, decorated boards for covering windows and doors of blighted buildings. The City loved the idea and looked into a contract with The Neighborhood Foundation to provide the materials and oversight to transform the look of the blighted nursing home on Main Street. But there was an issue, one we’ve seen many cities and towns across the country face: they didn’t have the money to make it happen. Enter Rockford’s Neighborhood Network: a non-profit organization of which Cathy Johnson is a board member. Understanding the power of sharing a vision, Cathy and her peers at Neighborhood Network pitched the idea to existing neighborhood associations—including Transform Rockford. On It’s the Little Things, one of our three Strong Towns podcasts, we’ve discussed neighborhood associations and how they can partner with city staff to make neighborhoods stronger. And for Rockford, the partnership was a success. 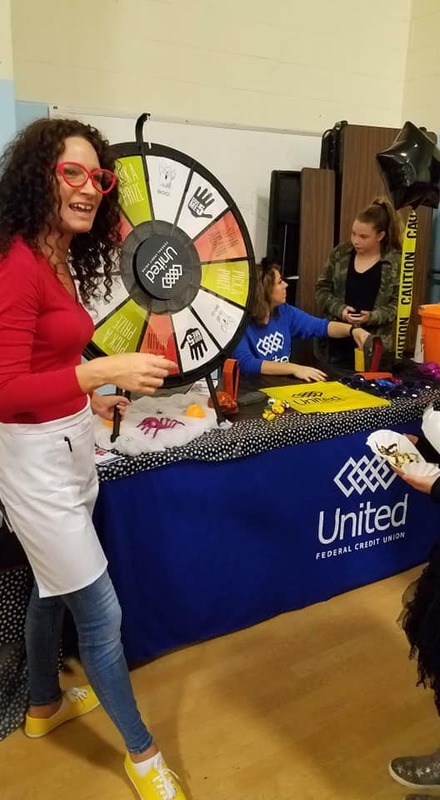 Moving forward, Cathy and the Neighborhood Network are hopeful that these partnerships can improve other blighted properties throughout Rockford. At Strong Towns, we write a lot about infill development, an urban planning term that means rededicating land in an urban area—for example, a vacant lot—to new construction. Infill development is essential to building productive uses such as housing for our neighborhoods. However, it’s often restricted in neighborhoods by the existing zoning regulations. The City of Kokoma, Indiana, recognized this issue in its own traditional neighborhoods, where it had gradually acquired ownership of vacant lots, and enlisted Strong Towns member Brent Martin’s architecture firm, SKRM, to design new housing for these infill sites. Brent, with the help of his team, had designed plenty of housing developments over his 30 plus years in the industry. However, this project presented a unique opportunity: from reading Strong Towns, Brent was inspired to design modest, single-family infill dwellings that would, as the City hoped, attract new families to the community and improve the traditional neighborhoods while providing more housing. The project was a success: Brent and his team designed four 1 ½ and two story homes in neighborhoods that were classified by the City as “on the bubble”: in desperate need of new investment, lest they deteriorate. While SKRM provided the designs and the expertise in infill development, the project came to fruition because of a shared vision between SKRM and the City of Kokomo. The City’s Development Authority invested between $30k-$40k in each home to buy down the mortgage and offer the homes for sale on the real estate market. The first two homes sold in a few weeks following completion and, with four more infill dwellings under construction, Brent is hopeful that the lessons he’s learned from Strong Towns will continue to make these neighborhoods stronger. As a modestly-sized staff with a national vision for building strong towns, we understand that the real-world impact of our message relies on members such as Doug, Cathy, and Brent taking action in their neighborhoods. The vision, as you learned from their testimonies, starts with an idea: a festival downtown; a beautified building; a modest housing project. However, when that idea is shared with Strong Citizens in the community—neighbors, colleagues, and city officials—the idea can become a reality, strengthening our neighborhoods in the process. Today, Strong Towns has over 2,500 members. These are the Strong Citizens who’ve embraced the Strong Towns message and, like the members whose testimonies you read today, used Strong Towns ideas to strengthen their towns. No matter your role—an engaged citizen, a planner, an elected official—we believe you have the ideas to build strong towns. It may feel intimidating at first. However, as you’ve learned today, support from your community and like-minded peers can help. We want to inspire you to find, build, and foster that community—just as we have for Doug, Cathy, and Brent—by joining the Strong Towns movement. This movement can't happen without our members. If you're inspired by these testimonies and count yourself among those people who are working to build strong towns, it's time to make that official by becoming a member today.